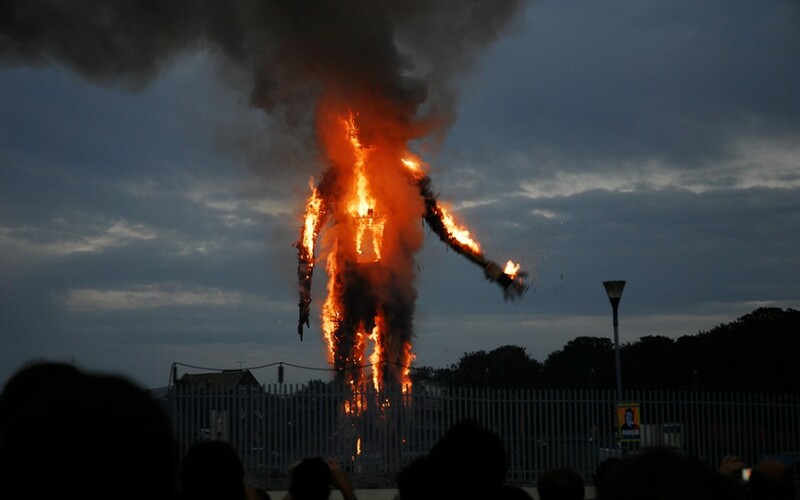 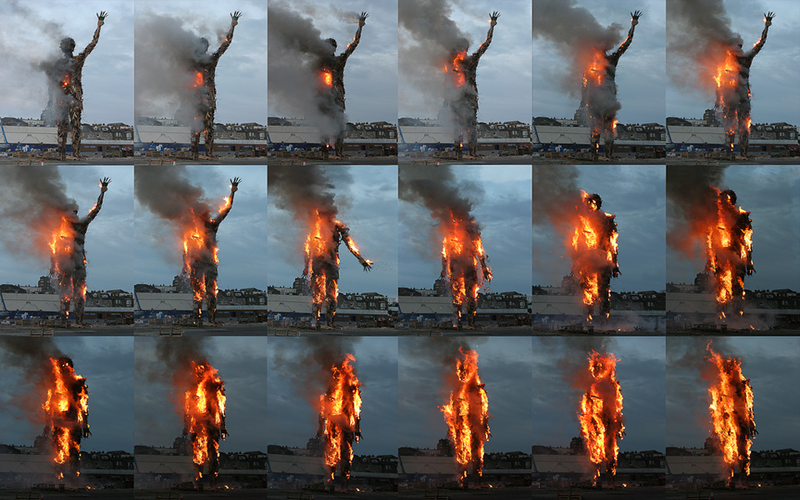 On 30 September 2006 Antony Gormley’s Waste Man was burned to the ground in front of an audience of thousands in the seaside town of Margate. 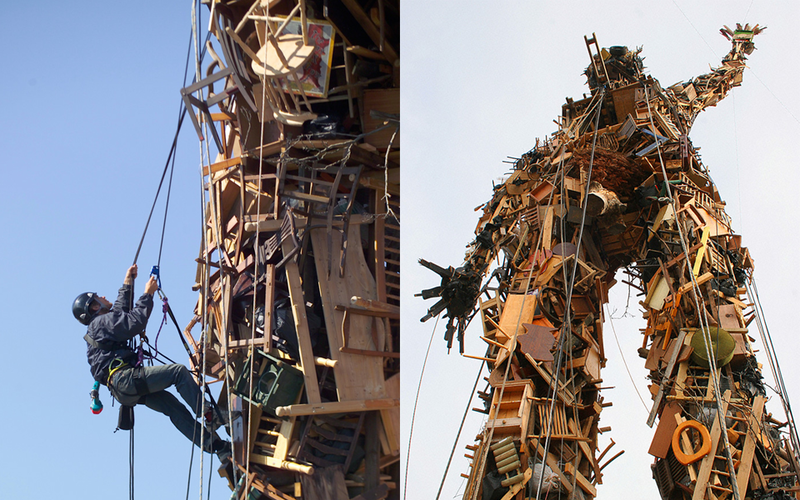 Constructed entirely of the detritus of modern consumer society, the 25m high timber sculpture had to be structurally sound, safe and practical in construction, but then ignite, burn and collapse in accordance with the artist’s vision. 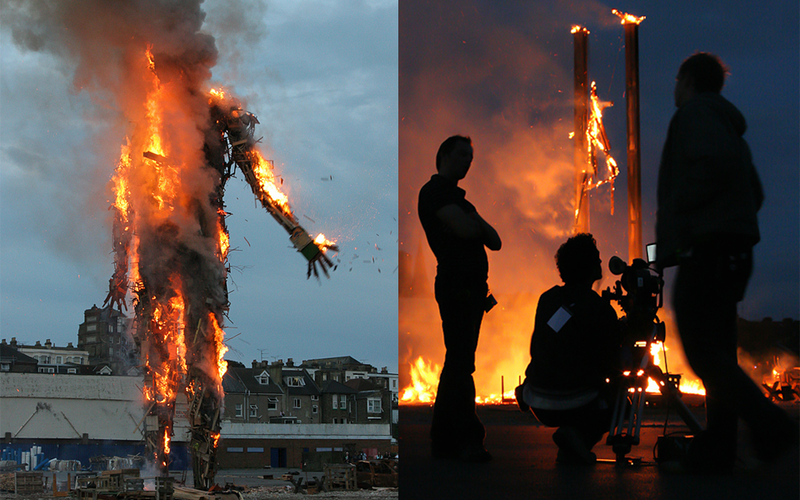 The resulting ﬁlm, Exodus, a modern retelling of the biblical story by Penny Woolcock, was broadcast on Channel 4 in 2007.